During his innings, Pandya smashed Todd Astle for three sixes on the trot, a feat he repeated for the fourth time in his International career. 2019 got off to the worst possible start for Indian all-rounder Hardik Pandya, who was sidelined from the ODI series and T20I series against Australia for his comments in the famous talk show “Koffee With Karan“. The incident managed to dent his confidence and morale big time, but it seems like he has got the better of it. After the ambiguity on the suspension and a decision on the incident, Pandya and KL Rahul were finally allowed to get back to cricket. The all-rounder well and truly announced his comeback in the fifth ODI against the Kiwis with a fabulous knock coming out to bat in the death overs. He smashed a 22-ball 45, which included five big sixes. His knock ensured Team India got over the 250-run mark on a tricky batting surface. During the innings, he smashed Todd Astle for three sixes on the trot, a feat he repeated for the fourth time in his International career. 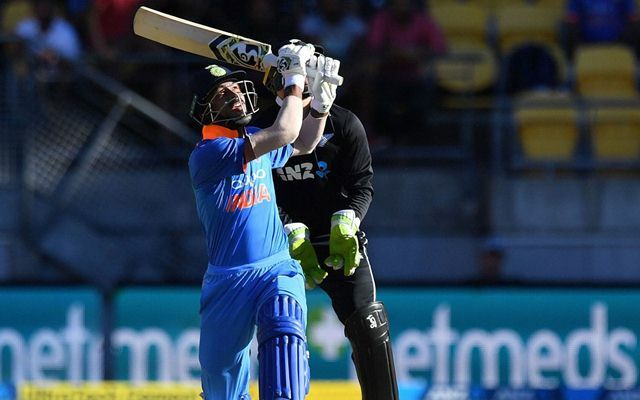 Yuzvendra Chahal picked up three wickets with Pandya and Shami chipping in with braces as New Zealand folded for 217 runs in the run chase. India managed a 4-1 triumph in the five-match series with Mohammed Shami picking the player of the series award. Here’s what Pandya tweeted after the game. Interestingly, this was only his third Tweet after apologizing for his remarks on the talk show. Among all the top nations, India have the worst T20I record against New Zealand and in a bid to overturn that statistic to a greater extent, the sides will lock horns in the shortest format from February 6. A 3-match T20I series will be followed by Australia touring India, which means the subcontinent side will be pretty busy in the coming days. Of the 8 games they played, India won just two games whilst the Kiwis won six of them, which should keep them as the favourites for this encounter.